Nowadays taking photos turn out to be a part of our lives. It is seen that many of us are most likely habituated to taking snaps of everything every moment. But some important photos help us reflect on the image. The photos may be terrifying or joyful; they have the capability to be very much effectual. Again, most of us taking pictures to capture critical moments in life so that we can have a look at those memories we have created before. Sometimes those memories may be of some tragic moments and create odd feelings among us. 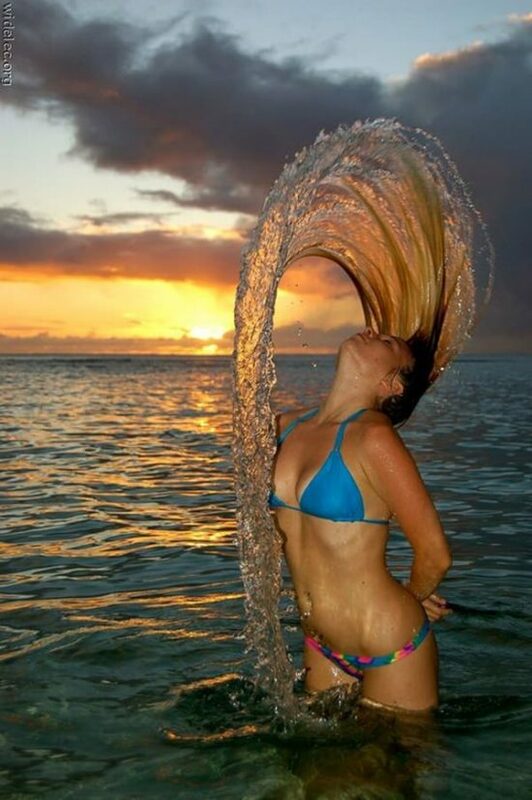 Below is a collection of pictures which were captured just at the right time. These are the kinds of photos you’ll want to share around, so feel free to send this article to a friend or family member if you want to brighten up their day. The way this picture was captured makes it look like the woman is a dolphin or a mermaid! She’s just thrown her head up out of the sea, and her hair brought a lot of water with it. The path of the water and the way it sparkles in the evening light is breathtaking. They must have planned this out to get such a perfect shot. I wonder how many times they took it to get it just right.